Much time and energy has been wasted in the recent debate about lying – since some have simply refused to accept the definition of a lie as given by the Church and also by philosophy. Here, I will briefly discuss the central points of this definition and offer a few clarifications. In the debate over the moral status of the Live Action sting operations against Planned Parenthood, two examples of “ethical” lying regularly came up in comment boxes and even in the bodies of articles. On the one hand, some referred to the supposed acts of lying which Pope Pius XII employed in order to save the Jews during War II – the historical veracity of this claim is open to some question, for further reading we point to an article in favor of the claim and an article against it [for our part, we suspect that the story is more myth than history]. 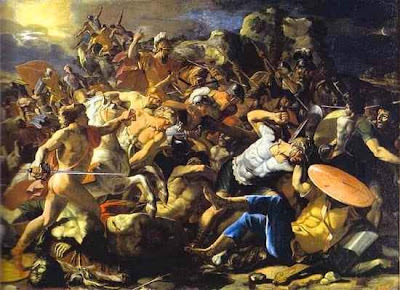 The example proffered in favor of lying which we will be focusing on in this article, however, is actually a conglomeration of numerous cases taken from Sacred Scripture. Some have claimed not only that many of the holy men and women of the Old Testament lied, but that God himself has lied! 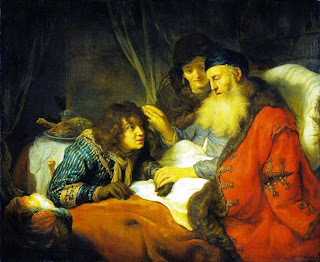 We will consider, in particular: Abraham’s claim that Sarah was his sister; the testing of Abraham (according to which some will be so bold as to accuse God of deceiving Abraham with falsehood); the blessing of Jacob in place of Esau; the deception of Pharaoh by the Egyptian midwives; and, from the New Testament, the statement by our Savior that he did not know the day or the hour of his Second Coming (of which some have most impiously claimed that Christ our God spoke a lie in this matter, since he certainly did know the time of the Parousia). In our first little article, we will consider the broader question of the interpretation of these difficult passages of Scripture. Then, in later articles, we will discuss first the cases involving the Patriarchs, then that involving the midwives, and finally those involving God himself. Therefore I tell you, do not worry about your life. […] Do not worry about tomorrow; tomorrow will take care of itself. Sufficient for a day is its own evil. 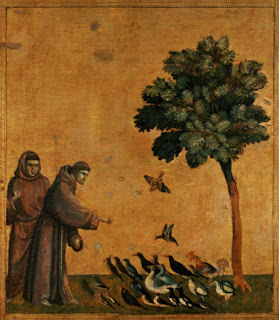 In the latter portion of the 13th and the beginning of the 14th century, a group within the Franciscan Order felt an intense inspiration to observe the Rule of St. Francis in its primitive severity. They were particularly focused on the life of poverty and, as they understood the Lord’s command, demanded that all Christians forsake private property and embrace the radical simplicity of gospel poverty. This group of Friars Minor, known as the “Spirituals”, was condemned by Pope John XXII in the early 1300s. We are led to a difficult question when considering the Gospel reading for this Sunday – Does Christ really mean to tell his disciples that they are not to provide for their material needs in any sense? Does the Lord demand absolute poverty from every Christian? Moreover, we might wonder whether it is possible to prepare for the worldly necessities of the future without worrying about tomorrow? The following article is a contribution by a guest-writer for The New Theological Movement. It is the sign of a great mind that he can keep seemingly contrary or contradictory statements together at the same time. I do not say really contrary or contradictory statements together at the same time, for that is the sign of the modern mind. 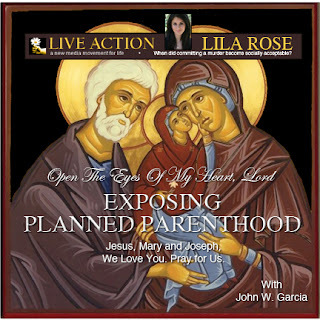 In light of the recent debate over Live Action’s outing of Planned Parenthood, I have decided to weigh in on the matter in hopes of shedding light with help from the Angelic Doctor, who because of the greatness of his mind, allows us to both affirm that lying is always wrong and praise the actions of Lila Rose, though not for the deception which those actions involved. Before presenting what I hope is a Thomistic insight into the debate which includes the actions of spies, Dutchmen, 19th century abolitionists, and Live Action, I wish to express some disagreement with one of the interlocutors in this dialogue. My response to his article will lay the foundation of moral reasoning that is supremely rational and intuitive, neither rationalistic or casuistic nor lax. You have heard that it was said, “You shall love your neighbor and hate your enemy.” But I say to you, love your enemies. Christ our God demonstrates his divine authority in the Sermon on the Mount by giving a New Law which fulfills what had come before. This Law is given with that same authority with which the Old Law had been given to Moses – it is the authority of God who reveals. The Lord speaks with this authority saying, You have heard that it was said … But I say to you …. No mere man could ever speak with such boldness! And yet we may wonder if Christ does not, in some way, contradict himself – for in giving the New Law he seems to abolish what came before; but he had recently said, Do not think that I am come to destroy the law, or the prophets (Matthew 5:17). If our Savior came not to destroy but to fulfill the Old Covenant, we may find some difficulty in the command to love one’s enemies. If, in the Old Law, hatred of enemies was commanded (thou shalt hate thy enemy), it would seem that Christ abolishes the Law when he tells us, Love your enemies. We must ask, whoever said thou shalt hate thy enemy? Was this commanded anywhere in the Law of Moses? These words from this morning’s Gospel reading (in the Ordinary Form) give rise to a certain question: How can it be that the Lord Jesus would tell the disciples that some of them would live until the coming of God’s Kingdom? Does he mean to suggest that they would live until the second coming? What is the Kingdom of which Christ here speaks? For our answer, we turn to the great Jesuit biblical scholar, Fr. Cornelius a’ Lapide (all that follows is from his Commentary on the Gospels). As, for the past two weeks, the daily Mass readings in the Novus Ordo have presented the Church with the first eleven chapters of Genesis (from the creation to Abraham), it seemed fitting that we should briefly consider several questions which may arise in the minds of believers who read these passages. There are certainly many fascinating events and stories, and there are many thousands of questions which could be raised, but we are here attempting only to raise a few which seem most profitable and most interesting to us. In the first part of our little “commentary,” we discussed the six days of creation, the serpent-tempter, the mark of Cain, and the long life-spans of the early Patriarchs. 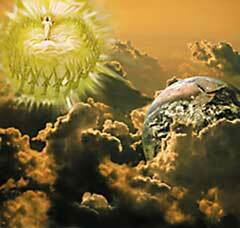 Now, in the second part, we discuss the period before, during and after the great flood. Again, we here intend to give only an answer, not the answer – for surely, in such difficult questions as these, there is room for much diversity of opinion. It would be most beneficial if we all took the time to re-read these eleven chapters, especially if we have not read them recently (in the past couple of months). 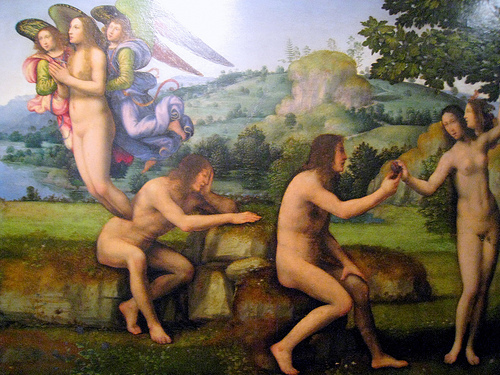 If you are a Catholic who attends daily Mass in the Ordinary Form – or if you are a faithful reader of the Magnificat or other Lectionary-based publications – you will have noticed that the Church has recently been (and will continue to be) reading from the early portions of the book of Genesis. The first eleven chapters of Genesis (the time from creation to Abraham) are filled with fascinating events and stories. Moreover, even a casual read of this portion of the Bible will give rise to many difficult questions. Here, we intend to raise and answer at least a few of the questions. However, as Scriptural commentary is, by nature, open to many (perhaps infinite) possibilities, we will simply attempt an answer rather than the answer. Rather than trying to cover every verse, we will focus instead on certain specific points which may provide the reader with some new points for personal reflection. Our commentary is not dogma (though there are certain dogmas which we will follow), it is simply the beginning of an explanation. Obviously, it would be most beneficial if we all took the time to re-read these eleven chapters – nothing can substitute for direct contact with the Word of God (in Scripture and Tradition). Parents should remember that they have a most serious duty to guard carefully lest shows, publications and other things of this sort, which may be morally harmful, enter their homes or affect their children under other circumstances. 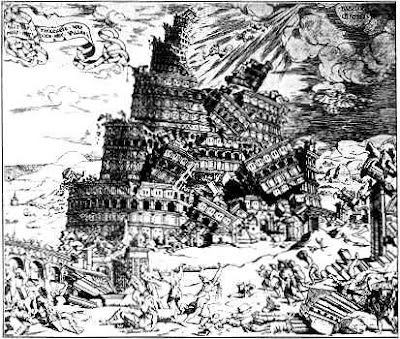 In the teaching of the Second Vatican Council on the use of social communications, the Council Fathers treat comprehensively of the moral use of the mass media by all involved with them. The quotation above, however, points to what is perhaps the most widely practical aspect of their teaching: the role of parents in their children's exposure to the means of social communication. It is that most solemn duty that we will discuss briefly here. When we speak of the means of social communication, we are thinking not only of television, film, radio, and the press (which the Council had specifically in mind), but also of the Internet (especially social networking sites), mobile phones, personal data assistants, and the many other technological spheres of human life where ideas are communicated en masse. One is easily overwhelmed by the availability and extent of such means of communication and by their normalcy in the life of our young people. It seems more difficult than ever for parents to fulfill their duty to govern and regulate the exposure of their children to the means of social communication. And yet they must. It is my intention to consider two articles from CatholicVote.org which have attempted to argue that Live Action has not lied in these undercover operations. Before responding to these articles, I will first briefly summarize what was contained in the previous articles here at NTM. Though I have a license in sacred theology, my specialty is dogmatic theology – moreover, I am a parish priest and not a “professional” theologian. On this account, I will write with a simple style – but the arguments I make will contain all the power and force of Catholic teaching. "I am the Immaculate Conception" and "I have been immaculately conceived"
We must be struck by the directness and immediacy with which Our Lady spoke to the young Bernadette at Lourdes: “I am the Immaculate Conception.” She does not say “I have been immaculately conceived,” but “I am the Immaculate Conception.” What does this mean? 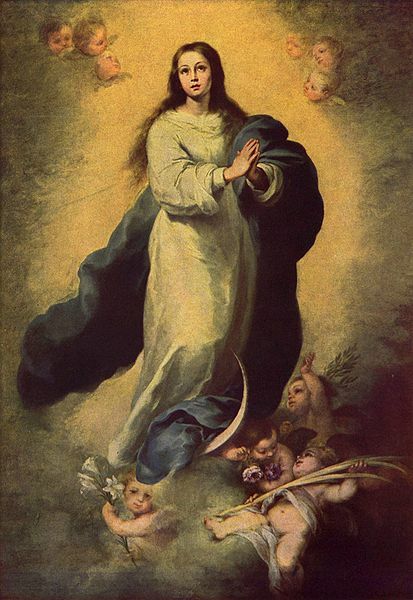 How is it that the “Immaculate Conception” can be a sort of name or title for the Blessed Virgin? Certainly, St. Jerome exaggerates (we hope) when he says that few now know of Aristotle and Plato, but the central point remains – the language of the Apostles is simple indeed, though the meaning is most profound. The simplicity and clarity of the writings of the Apostles is founded on the simple and pure language with which Christ himself taught his doctrine. And were else to we find such simplicity as in the Sermon on the Mount? 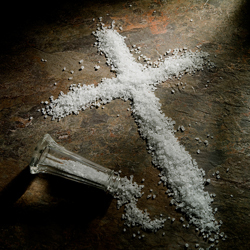 “You are the salt of the earth. You are the light of the world.” Such simple words, yet so rich and full of meaning! As did St. Jerome, I will attempt to express, in that same spirit of simplicity, something of the profundity of the simile of salt. 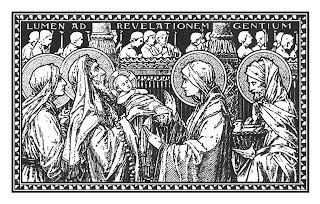 When the days were completed for [her] purification according to the law of Moses, Mary and Joseph took Jesus up to Jerusalem to present him to the Lord. The Feast of the Presentation of the Lord has been called the Feast of the Purification of the Blessed Virgin Mary – and although the Marian nature of this feast has been completely lost in the reformed calendar, at least the date has remained: As the new mother went to the Temple forty days after having given birth, so too the Blessed Virgin Mother of God came to fulfill the Law through her Purification. But why did Mary come to the Temple to be purified? Was she not already most pure? Had her Son defiled her in his most wondrous Birth? 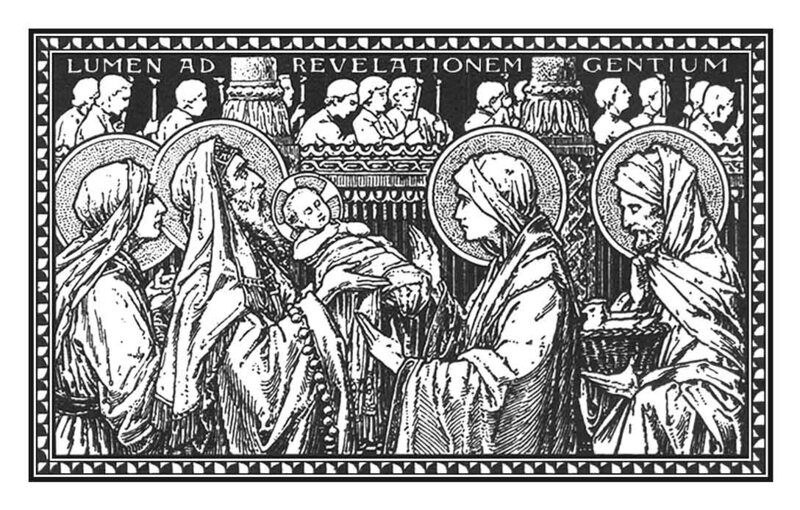 No, certainly he did not – in being born of the Virgin, Christ did no harm to her virginal integrity but rather consecrated it. Simply speaking, Mary had no need of purification, but she humbled herself (after the example of her Son) to follow the precepts of the Law which was soon to pass away.